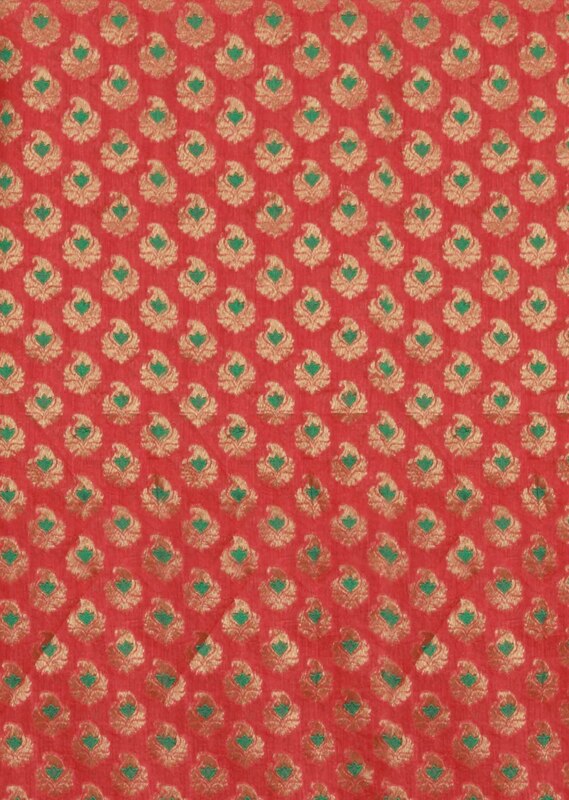 Featuring a red brocade silk un-stitched salwar-kameez embellishment in zardosi and resham. 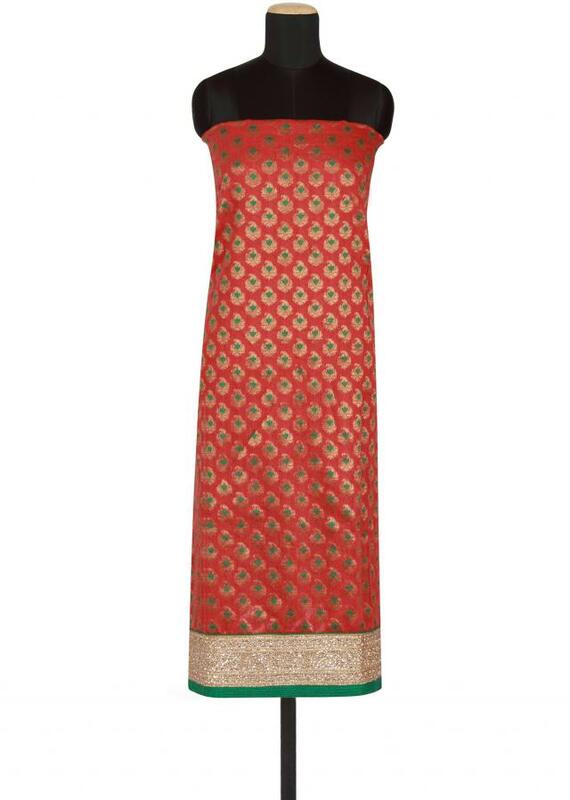 It is weaved in gold paisely motif with green resham enhancement. 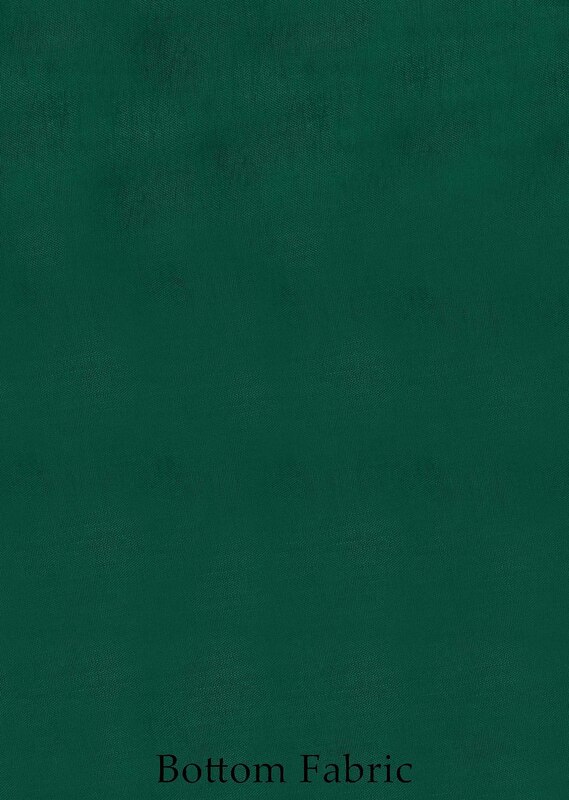 Border is in gold zardosi further enhanced in green cotton silk. It comes with a green cotton silk unstitched fabric. 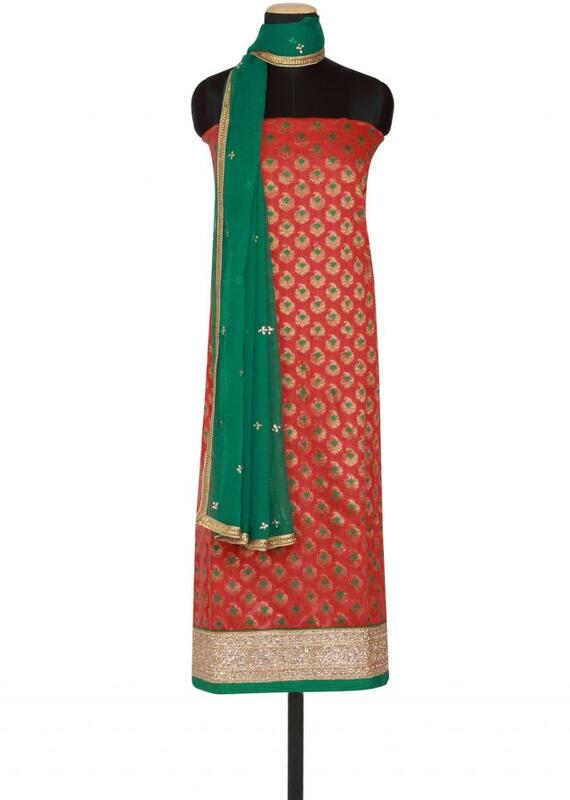 Dupatta is green featured in chiffon with gold lace border.